Completely updated from the successful first edition, this book provides a timely update on the recent progress in our knowledge of all aspects of plant perception, signalling and adaptation to a variety of environmental stresses. It covers in detail areas such as drought, salinity, waterlogging, oxidative stress, pathogens, and extremes of temperature and pH. This second edition: Presents detailed and up-to-date research on plant responses to a wide range of stresses Includes new full-colour figures to help illustrate the principles outlined in the text Is written in a clear and accessible format, with descriptive abstracts for each chapter Written by an international team of experts, this book provides researchers with a better understanding of the major physiological and molecular mechanisms facilitating plant tolerance to adverse environmental factors. 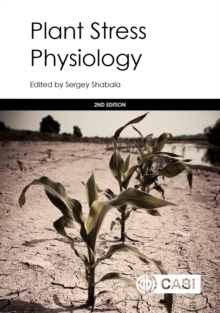 This new edition of Plant Stress Physiology is an essential resource for researchers and students of ecology, plant biology, agriculture, agronomy and plant breeding.